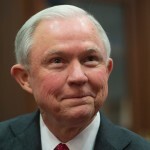 Sessions getting what he deserves | Pulitzer Prize Winner Cynthia Tucker | Journalist. Professor. Progressive. 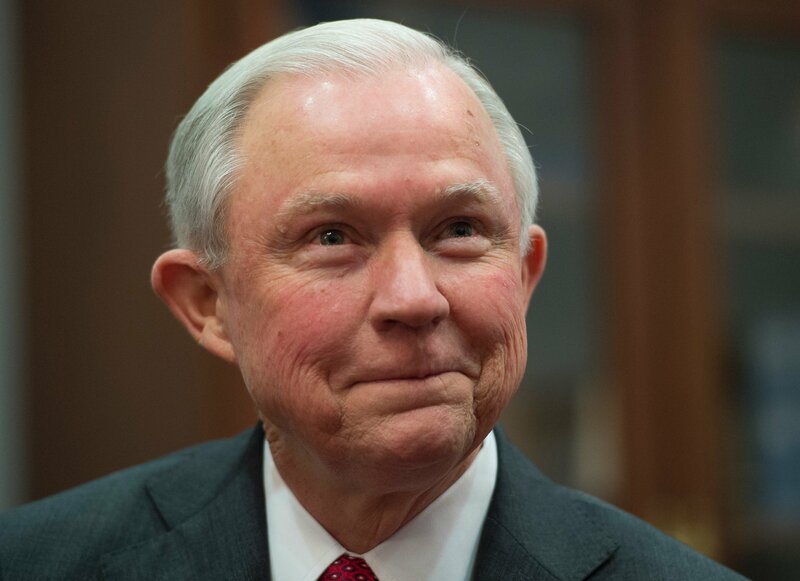 Jefferson Beauregard Sessions III is a true believer in the old order, a man whose worldview is based on the assumption that “Christian” white men ought to be in charge. He has spent his political career trying to claw back the halting progress that people of color and other minorities have made toward full equality — restricting voting rights, persecuting immigrants, denouncing homosexuals. The attorney general is a close friend of the intrepid Steve Bannon, another true believer in the old order. Bannon, now one of the most powerful men in the White House, is the former executive chairman of Breitbart.com, a Web site that traffics in blatant misogyny and racism, disparaging Muslims, denouncing immigrants and, of course, spreading miserable lies about President Barack Obama. According to reporter Joshua Green — author of “Devil’s Bargain,” a book about the Trump campaign — it was Bannon who persuaded Sessions to become the first sitting senator to endorse Donald J. Trump for the presidency. The day before Sessions endorsed Trump at a Madison, Al. rally in February 2016, Bannon told him “this is the moment,” Green wrote. Forgive me, then, if I shed no tears for the attorney general as Trump puts him through a shredder, subjecting him to a daily, if not hourly, barrage of humiliations. Sessions aligned himself with Trump in order to push an ultra-conservative agenda that would take the nation back to the 1950s. He is getting exactly what he deserves. The president is angry because Sessions recused himself from overseeing the investigation into Russian interference in the presidential election. With that decision — which was a no-brainer, by the way, since Sessions himself had met with Russian officials during the campaign — Sessions could not act as Trump’s sycophantic mouthpiece, pushing back on every new revelation. A petty and narcissistic little tyrant, Trump expects not just loyalty but subservience. Perhaps Sessions had no idea what Trump would be like as president. Perhaps he believed that traditional Republicans could coach Trump into hewing more closely to traditional governing norms. Maybe Sessions thought that his loyalty to Trump’s agenda — especially his endorsement of the travel ban and the border wall — would make him a favorite of the president. If Sessions thought that, he was wrong, of course. Trump has trashed every traditional standard of the presidency, starting with his startling disregard for obvious truths. He has insisted that intelligence agencies are lying about Russian interference in the election. He has installed his children in White House jobs. He has tweeted harsh and crude insults, some of them aimed at officials in his administration. And, most troubling, Trump has thumbed his nose at the rule of law. The president has suggested he could pardon himself if he is convicted of a crime, and he has called for the Justice Department to investigate his rival Hillary Clinton — the sort of machinations common in banana republics. Trump fired James Comey because the FBI was investigating Russian interference in the election. Sessions, apparently, went along with that. So, surely, Sessions cannot be surprised that Trump is now coming after him. Even if Sessions knew what sort of president Trump would be, though, he probably would have still endorsed him, just as so many other Republicans did later on. Conventional Republicans — the establishment, if you will — have an agenda, and they need a Republican president in order to carry it out. They want to do the bidding of the rich, rolling back government regulations on banking and the environment and cutting their taxes even further. They want to outlaw reproductive rights and deny full equality to gays and lesbians. They want to thwart the advance of people of color. So it’s no surprise that Sessions has stuck to his playbook, even as Trump continues to flay him. The attorney general has threatened sanctuary cities. He has excused police violence. He has argued that employers may discriminate against gays and lesbians. Donald Trump is the president he deserves.